It’s very common for patients who have full or partial sets of dentures to experience uncomfortable movement of the dentures above the gums, causing irritation to the soft oral tissues and underlying bone structure. Implant supported dentures are affixed dentures that are supported by dental implants, ultimately adding significant strength to the dentures and virtually eliminating movement and slippage. Our experienced dentists, Dr. John D. Beckwith and Dr. Arlene O’Brien, provide individually-tailored treatment plans that can help you achieve greater comfort, functionality, and aesthetic results from your dentures. If you are experiencing uncomfortable or loose-fitting dentures, our experts can provide you with customized implant supported dentures to secure them in place. Dr. Beckwith and Dr. O’Brien at Cornerstone Dental are exceptionally skilled dentists who make continued education and pursuit of the latest dental techniques a high priority. They focus on impeccable safety measures, advanced procedures, and exemplary results for all of our patients, and are committed to providing you with the most comfortable and effective treatment possible. Implant supported dentures are a life-changing permanent solution to uncomfortable and sometimes embarrassing dentures that use unpleasant adhesives or pastes. These implant supported dentures are supported by dental implants generating the strength and stability to function and look like your normal teeth. Enjoy the freedom to smile with confidence and eat foods once restricted with traditional dentures. Enjoy foods such as corn, steak, apples, etc. During your initial consultation with Dr. Beckwith, he will discuss all aspects of your treatment with you and determine whether implant supported dentures are the best option for your needs. Are You a Candidate for Implant Supported Dentures? If you are not a candidate for implant supported dentures, Dr. Beckwith can recommend dental implant alternatives that help you attain your goals. Options such as mini dental implants are a less invasive dental implant procedure, and can often help patients without the jawbone density required for full dental implants. Implant supported dentures have become a hallmark of our practice because of the advanced technology we use. We are committed to providing you with the most effective, long-lasting missing teeth replacement results. After meeting with our experienced dentists for your initial consultation to determine your candidacy for implant supported dentures, we will conduct a detailed oral evaluation and create a precise and accurate map of your mouth structures with the advanced ScanX Digital Panoramic X-Ray System. He will also utilize CBCT technology (also known as a CAT scan) to complete a thorough diagnostic test that allows for precise, computer-guided surgery. Following this in-depth planning process, , Dr. Beckwith will surgically place titanium implants into the gum, where they will eventually fuse with the jawbone to become a permanent part of your mouth. This process will ultimately give your dentures optimal support and stability. This fusion process, called osseointegration, takes approximately three to six months. Once the implants have adequately fused to the jawbone, the dentures will be fastened onto them, creating a more comfortable and stable fit, and virtually eliminating the potential for movement. 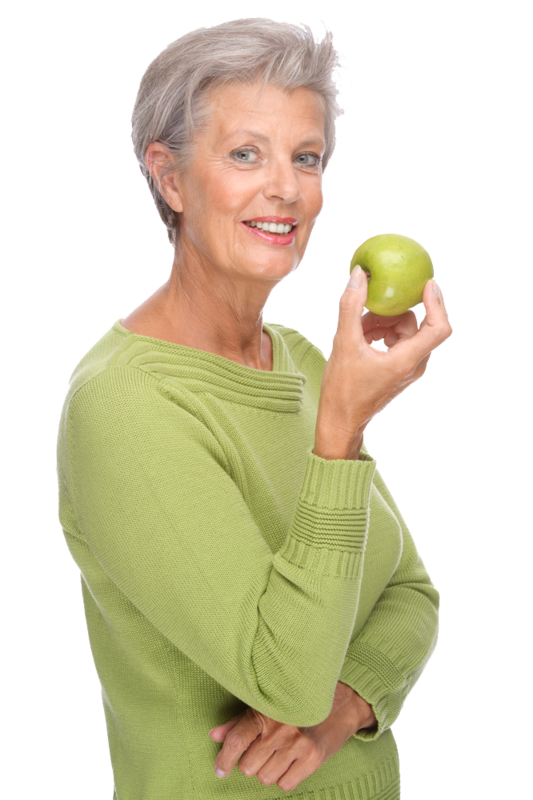 Implant supported dentures typically make it easier to chew food and reduce the problems often associated with traditional dentures and bridges. Plus, they look and function more like natural teeth, which can restore your confidence in your smile. I had extensive work done. All my upper teeth were extracted and a new denture was made for me. The process took about 5-6 months to include all the implants and healing. Dr Beckwith and his entire staff do all things with excellence!! I would recommend him to anyone!! If you currently have dentures and would like to know more about your dental implant options, or to schedule a consultation with Dr. Beckwith, please contact our practice today.